Overview: cells are not small planar structures! They are dynamic, three-dimensional bags of fluid containing a host of exciting organelles and chemical reactions. Take time to help students appreciate that cells are the building blocks of all living organisms and share many features in common – evidence for a common ancestor. Help students get an appreciation of scale, by explicitly stressing the relationship between atom, molecule, cell, tissue and organ. 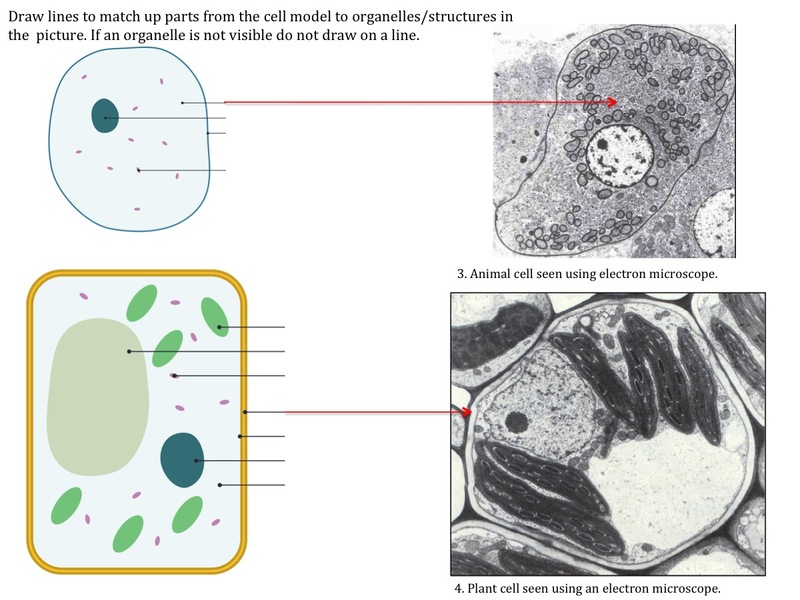 Also, spend time labelling a range of cell diagrams to prevent students from seeing the textbook image as ‘real’. The idea that specialised cells, such as a muscle or nerve cell, contain exactly the same DNA is mind blowing! Although we tend to start by comparing animal and plant cells, students will later learn that the two main types of cell are eukaryotic and prokaryotic and that some eukaryotic organelles were once free living bacteria. Key concept: cells are the fundamental structural, functional and biological unit of life. Living organisms differ in how their cells are arranged, the organelles their cells contain and by the proteins their cells make. Look at your own cells under a microscope (see below). Take some epithelial cells from your cheek and show these to the class. This is an excellent bridge – i.e. explicitly linking the organism(you!) to the ‘invisible’ cell. A fun homework is to challenge students to make models of different specialised cells – you will be amazed by their creativity! 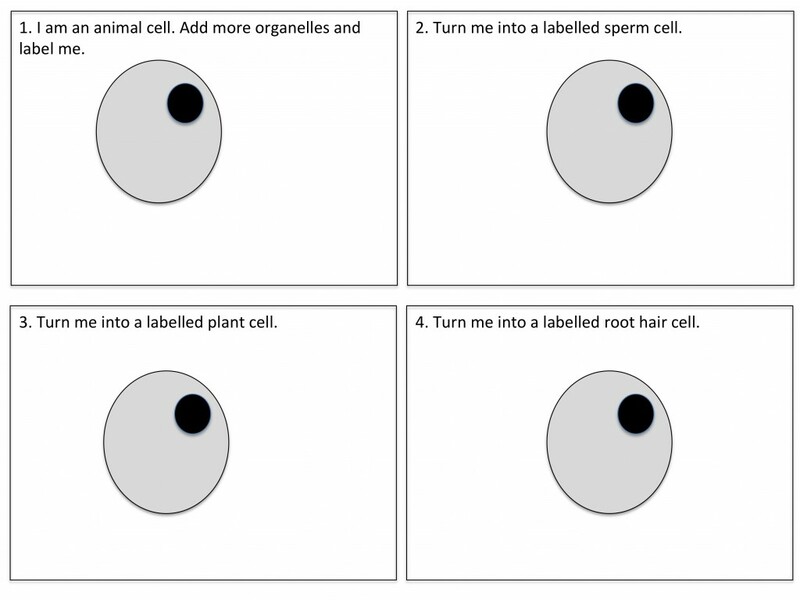 GCSE and Key Stage 3 worksheet on plant cell organelles. Students annotate a cartoon image of a labelled plant cell. They have to use their imagination to explain what each organelle would say if they could talk. This resource was contributed by Jane Masters (@mrsjmasters). View Jane’s blog at https://pedagoggles.wordpress.com/. How many glucose molecules would fit end to end along a cheek cell? A nerve cell and a cheek cell in your body have exactly the same DNA – so how come they are different? Animal cells do not have cell walls. What are the advantages and disadvantages of having cells without cell walls? Prokaryotes are an incredibly successful group of organisms. Some of this success is down to their small size – suggest how being ‘small’ can be advantageous.